The National Parks have been a gift from God to our family over the past 15 summers, embodying Muir’s vision of beauty in places to play and pray in. Every summer during our weeklong family vacation, we hike and backpack 50 miles in a national park. Our adventures have taken us deep into the heart of Olympic National Park, where we’ve hiked on half of the 700 miles of trails in that Pacific Northwest paradise. We’ve hiked portions of the Wonderland Trail around Mount Rainier National Park. We were stunned by the beauty of the 55-mile loop known as the Northern Circle in Glacier National Park, named by Backpacker Magazine “the National Parks No.1 Hall of Fame” hike. We’ve explored the Wild Basin of Rocky Mountain National Park, including summiting Mount Alice on the Continental Divide at 13,310 feet. Three years ago, we soaked in God’s beauty on a 60-mile loop into the backcountry of Yosemite National Park, including hiking over 11,200 feet up Red Peak Pass to the headwaters of the Merced River. [/vc_column_text][/vc_column][/vc_row][vc_row][vc_column][vc_single_image image=”32364″ img_size=”full” alignment=”center” onclick=”img_link_large”][/vc_column][/vc_row][vc_row][vc_column width=”1/3″][vc_single_image image=”32365″ img_size=”full” alignment=”center” onclick=”img_link_large”][/vc_column][vc_column width=”1/3″][vc_single_image image=”32363″ img_size=”full” alignment=”center”][/vc_column][vc_column width=”1/3″][vc_single_image image=”32362″ img_size=”full” alignment=”center” onclick=”img_link_large”][/vc_column][/vc_row][vc_row][vc_column][vc_column_text]I recently went with several friends on a road trip across the Southwestern United States. We experienced the beauty of the Petrified Forest, which also includes the Painted Desert. The Painted Desert is neither as vast nor as deep as the nearby Grand Canyon, but I think that actually brings it closer, making all of that beauty somehow more accessible. We then went on to Sedona, Arizona, where those gorgeous red rock cliffs were close enough to reach out and touch. My friends are not all practicing Christians, but as we visited two churches with breathtaking views of the red rocks, one could not help but silently sing the words to “How Great Thou Art.” All of us felt the need to sit “in awesome wonder” and meditate on the glory of God’s creation. God’s power is indeed displayed throughout the universe, but one need look no further than our own national parks to see the incredible detailed and amazingly complex work of art that is our own small planet. My mind keeps going back to the times spent at the lookout vistas, breathing in God’s creation, feeling his presence so tangibly. I am thankful for these protected places where it is nearly impossible to not feel his presence. [/vc_column_text][/vc_column][/vc_row][vc_row][vc_column][vc_single_image image=”32371″ img_size=”full” alignment=”center” onclick=”img_link_large”][/vc_column][/vc_row][vc_row][vc_column width=”1/2″][vc_single_image image=”32369″ img_size=”full” alignment=”center” onclick=”img_link_large”][/vc_column][vc_column width=”1/2″][vc_single_image image=”32370″ img_size=”full” alignment=”center” onclick=”img_link_large”][/vc_column][/vc_row][vc_row][vc_column][vc_column_text]For five of the past six summers, I have travelled to and enjoyed Glacier National Park for some vacation time. During the first trip I was alone, and all I could think as I traversed Going-to-the-Sun Road was how awesomely beautiful this place was, and how unfathomable God’s grace must be, that we would be given such a gift. The next year I returned to Glacier with one of my closest friends. Together we worshiped as we drove and stopped often to try to capture the beauty, the majesty in a picture. But each time the image fell short. This beauty and majesty can only be lived and experienced, not captured. 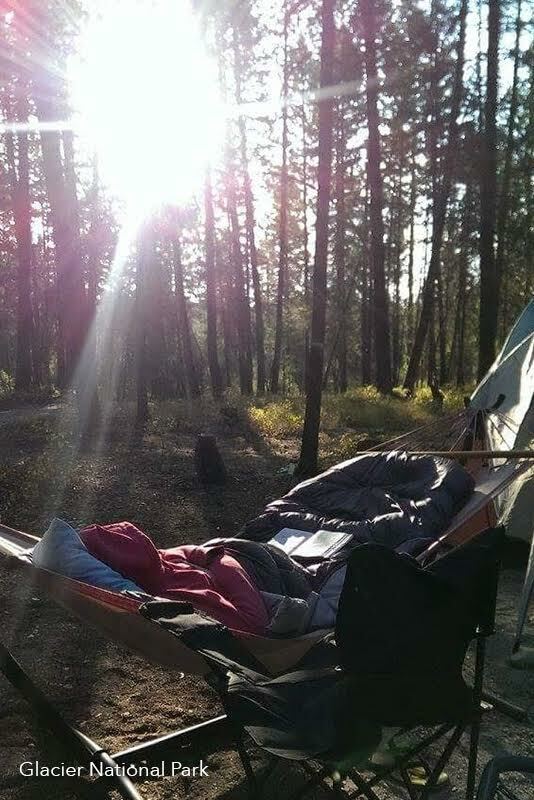 Again, God met me on the road, on the side of a mountain, and my soul was fed and made well. When I tell people about this trip, I tell them that it’s my favorite place on earth. It’s certainly a ‘thin place,’ and has become an important retreat for me – a quiet place away to rest and refocus, to meet with and hear from God. Last year another friend joined the trip, and this year we are expecting to be a group of eight. What started as a single night’s stay for one has turned into a week-long journey and retreat for many. Together we will travel, marvel, be awed and worship God for the generous gift of creation and for the blessing of community. Sharing this place, this experience with the people I care for the most has only made it a richer and a more significant time. [/vc_column_text][/vc_column][/vc_row][vc_row][vc_column][vc_single_image image=”32468″ img_size=”full” alignment=”center” onclick=”img_link_large”][/vc_column][/vc_row][vc_row][vc_column width=”1/2″][vc_single_image image=”32476″ img_size=”full” alignment=”center” onclick=”img_link_large” img_link_target=”_blank”][/vc_column][vc_column width=”1/2″][vc_single_image image=”32470″ img_size=”full” onclick=”img_link_large”][/vc_column][/vc_row][vc_row][vc_column][vc_column_text]I have been going to Grand Teton National Park since I was two years old. It has always been a place of rest and restoration for me. One year, as I settled in to my favorite spot there, the Lord spoke something deep into my heart. The geological forces that formed this beautiful valley were violent and brutal. The upheaval of the Teton mountain range accentuated the dramatic drop of the valley floor. Volcanoes erupted. Glaciers carved the valley and formed its dikes and buttes. It was not “pretty” for a long time as the land settled, the lava cooled and the vegetation eventually got a foothold. I still keep those words in my heart and ponder them frequently, not just for me, but also for those with whom I minister. Hopefully, I can bring to the destruction of their lives a word of hope and redemption. The landscape of our lives is always in formation and, under his hand, always being redeemed. [/vc_column_text][/vc_column][/vc_row][vc_row][vc_column][vc_single_image image=”32487″ img_size=”full” alignment=”center” onclick=”img_link_large”][/vc_column][/vc_row][vc_row][vc_column width=”1/2″][vc_single_image image=”32489″ img_size=”full” alignment=”center” onclick=”img_link_large”][/vc_column][vc_column width=”1/2″][vc_single_image image=”32500″ img_size=”full” alignment=”center” onclick=”img_link_large”][/vc_column][/vc_row][vc_row][vc_column][vc_column_text]Gail and I have been to scores of national parks, monuments and wildlife areas over the years, along with numerous other places of natural interest. Time spent in the splendor, silence and solitude of the parks never cease to bring us spiritual peace and perspective as we contemplate the grandeur of God. 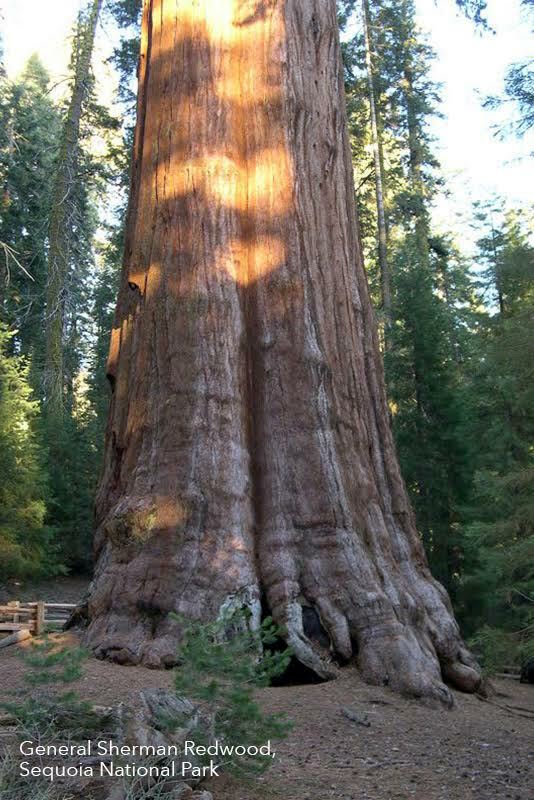 One of our favorites is Sequoia National Park in the California Sierras. It’s not only the beauty that arrests us there, however. It’s also the memory of Christian naturalist John Muir (1838-1914), for whom the Sierras, and particularly the Sequoia and Yosemite parks, were a beloved haunt. Look at that now… And to think that God should plan to bring us feckless creatures here at just the right moment, and then flash such glories at us. Man, we are not worthy of such honor! Praise God from whom all blessings flow! I could not say it better. Whether it’s the hush of a remote grove of sequoias or sugar pines, a hike with a panoramic view over California’s cloud-shrouded Central Valley, or standing before the largest singular organism in the world, the General Sherman Sequoia, we feel inspired and our praise to the creator runs deep. In fact, I here confess my weakness in having sought a token of remembrance of the experience: may the National Park Service forgive me the pinecone I slid into my pocket while standing beneath the Sherman! To me, that simple cone is like a communion wafer, a remarkably tiny thing belying the main object’s astonishing scope! “A Christian Ministry in the National Parks” is an interdenominational ministry that each summer has sent 250 college and seminary students to National Park areas since 1951 to lead outdoor services of worship for visitors and to provide ministry and discipleship opportunities for park residents. These ministries are in parks from Alaska to the Virgin Islands. Great to see my fellow Covenanters’ work!